A WIDE draw has done little to dent trainer Brent Lilley’s confidence ahead of Thursday night’s Renshaw Cup in Penrith. Lilley is set to contest the Group Two with rising star Sicario, which will begin from barrier five. Picard is the widest runner in gate six. “It’s not the best draw, but it’s not the worst either,” Lilley said. “He’s got gate speed so we’ll go forward from there. Successful at Tabcorp Park Menangle last week, Sicario is expected to improve for the run according to Lilley. A soft winner in 1:55.6 over 2300 metres the son of Somebeachsomewhere was having his first start since competing in Hobart on March 16. 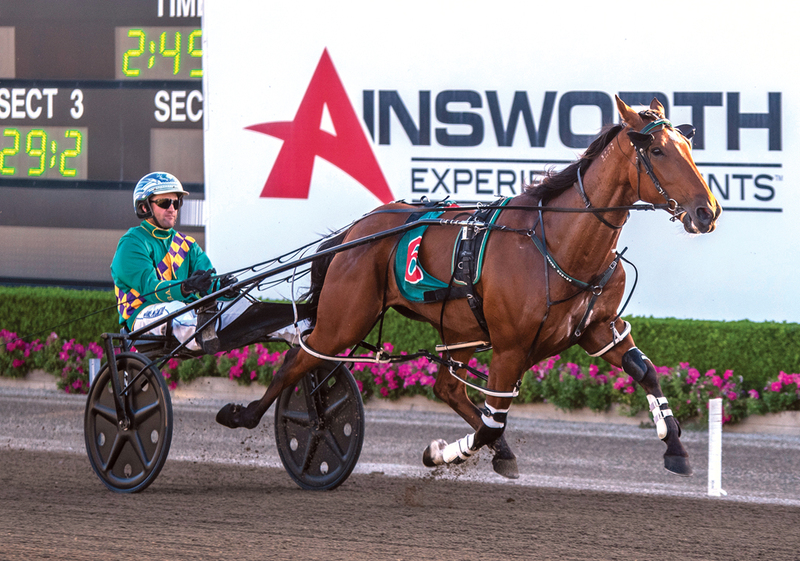 Sicario’s pending assignment is part of an extended campaign, which includes next week’s Carousel Final in Menangle. “He appears to be very well graded in the Carousel and will be hard to beat,” Lilley said. “Having a $50,000 country front race to go in is a very attractive option. “Then there is the Treuer Memorial, which is on the night before the Carousel, to consider.